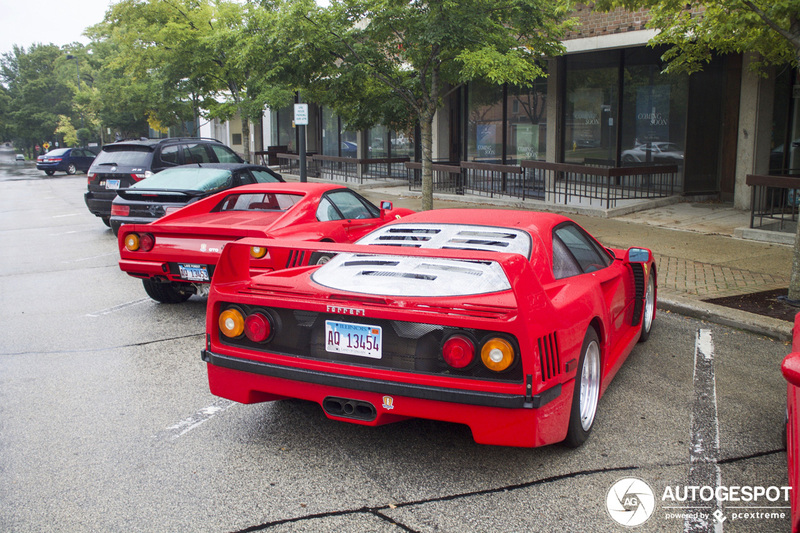 Another amazing combo spotted in the United States, this time it is the Ferrari 288 GTO and Ferrari F40, two legendary Ferraris. 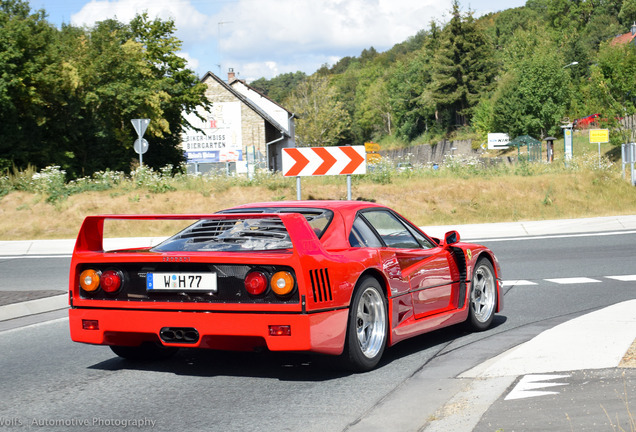 My favorite of the two is the car introduced by Enzo Ferrari in September 1983, the 288 GTO. The legendary name, the stunning styling by Pininfarina, the engine with its seemingly inexhaustible power and the widespread use of composite materials, made the GTO the closest thing to a racing car. To meet customer demand, 272 were built instead of the planned 200: all were sold before production began. In the early years of Ferrari history most road cars produced were limited series, which gave way to more series type production in the late fifties, with the last of the limited production models being the 365 California in 1966-67. 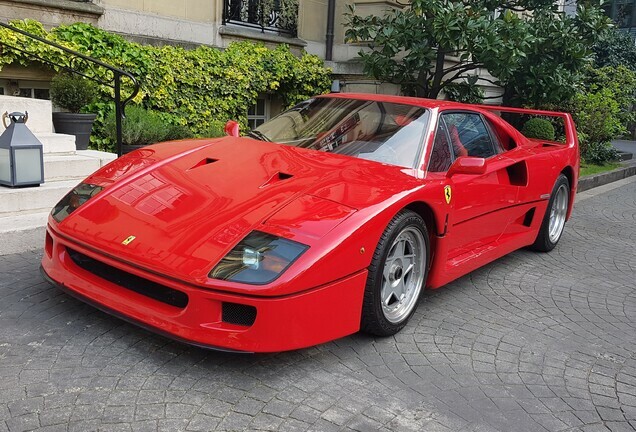 The GTO, introduced at the 1984 Geneva Salon, heralded a return to the low volume production series. 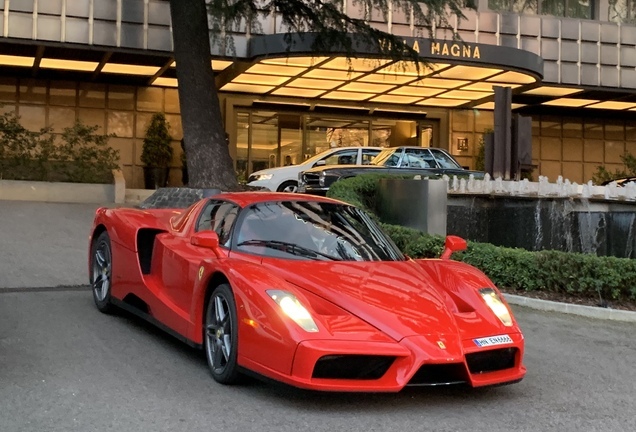 Initially the reason was not to provide a select few clients with an exclusive form of transportation, but to satisfy the two hundred unit build number for homologation purposes as a Group “B” competition car. However, the regulations changed so here was a competition orientated car with nowhere to compete. 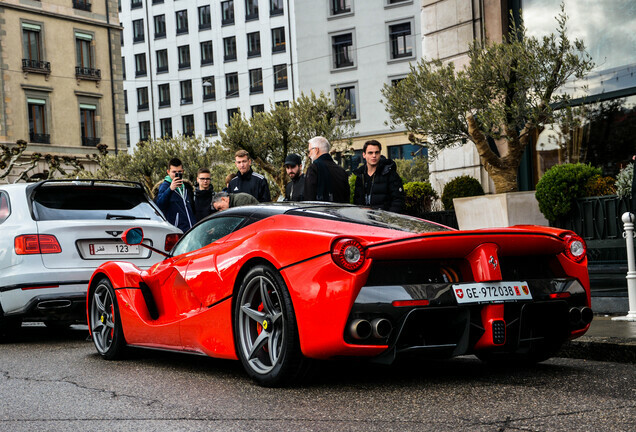 There was no need to worry, as the car had created such a sensation at the Geneva Salon that the planned production run was soon sold out. In fact there were more buyers than cars available, and eventually the total production run became 272 examples. The model was built between 1984 – 1986, in the odd number series chassis number range 52465 to 58345. 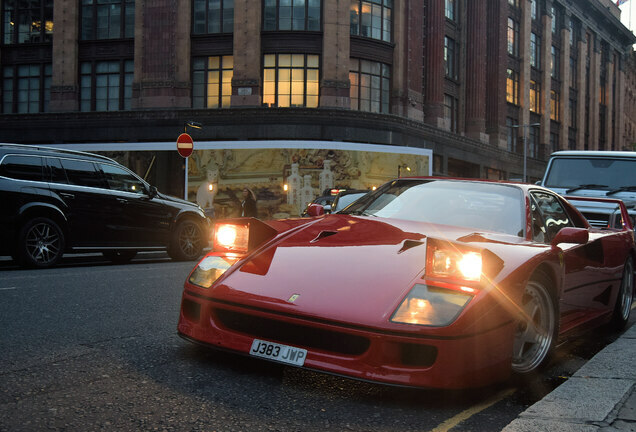 The official model designation was solely GTO, although most people refer to it as the “288 GTO” to differentiate it from the 250 GTO model in conversation, as this legend is frequently referred to as simply the GTO. The 288 appellation refers to the total cubic capacity of the engine and number of cylinders, 2.8 litres with 8 cylinders. Obviously, the “GTO” model name was a retro touch referring to the legendary 250 GTO of the early sixties, to which it was intended to be the spiritual successor in GT racing, albeit stillborn as already noted.